Social Media Strategy is your guide to practicing marketing, advertising, and public relations in a world of social media-empowered consumers. 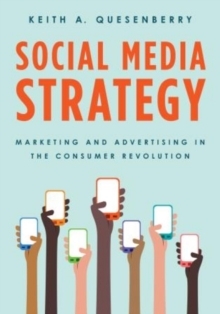 Grounded in a refreshing balance of concept, theory, industry statistics, and real-world examples, Keith Quesenberry introduces readers to the steps of building a complete social media plan and how companies can integrate the social media consumer landscape. This simple, systematic text*leads readers through core marketing concepts and how to think critically about the competitive marketplace-even as it shifts the perspective from an outdated communications-control model to a more effective consumer engagement method*provides a step-by-step roadmap for planning social media marketing strategy*emphasizes the need to apply solid marketing principles to social media*explores how to integrate social media throughout an entire organization*gives students and other readers skills vital for leveraging consumer knowledge and influence for the good of a brand. The end result delivers the context, process and tools needed to create a comprehensive and unique social media plan for any business or organization. 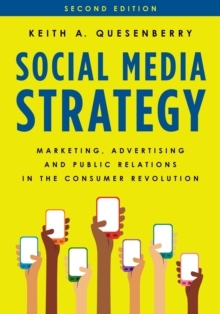 FOR PROFESSORS: Ancillary resources are available for this title, including a sample syllabus and templates for social media audits, content calendars, storylines, and more.